Juliano v. Frankford-Quaker Grocery Co. et al. Right to arbitration LeMunyon v. American Security Insurance Co. — 1978. U.S. Third Circuit C.A. affirming U.S.D.C. E.D. Pa (Arbitration barred)Restrictive Covenant Advanced. Neurological v. Graziano et al. — #04-00618 Montgomery Co. Common Pleas (TRO under restrictive covenant denied). Donner Financial v. Auto Tags by Maverick – Bucks County Common Pleas # 2014-02002, Affirmed PA Superior Court 2017. This is a representative sample of the many types of business transactional services we have provided, to a seller or purchaser (and sometimes a guarantor). Reorganize relationships between sister or affiliated companies. 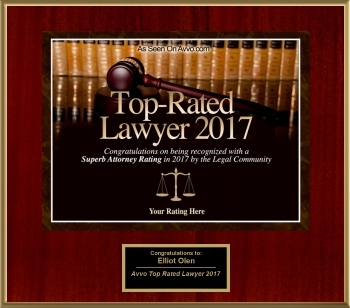 Learn more about our firm and our approach to business law, asset protection, estate planning, and real estate matters, contact a Bucks County business attorney at the Olen Law Office in Fairless Hills now by calling 215-943-5343.